We style gorgeous wedding and civil ceremony flowers, and because we're not a retail shop, we can offer a truly personalised approach to choosing your wedding day flowers. We have a truly beautiful collection of vases, candelabras and other equipment available for hire, and can help you create the wedding venue of your dreams, wowing your guests. From your floral arrangements through to your venue styling, we offer a truly personalised experience, making sure your wedding flowers and venue reflect your design ideas. Deciding how to allocate your wedding budget is incredibly personal. Each couple have a different set of priorities and that’s how it should be as each and every wedding is a unique event. We offer a consultation convenient to you, to discuss your ideas. We are happy to visit your venue too, if you wish to discuss and visualise how your flowers will fit into the day. Find one of the North-East’s incredible Wedding Venues on our interactive map. Simply click on the pointers to discover popular wedding venues nearby. 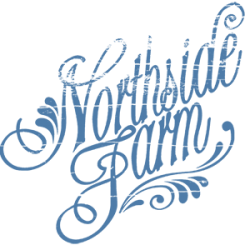 Northside Farm, a lovingly restored barn complete with luxury glamping pods for you and your guests to enjoy. Alternatively, click here to get in touch with us. A historic former flour mill creates a beautiful quayside backdrop for your wedding. 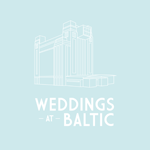 BALTIC was recently listed as the 6th most breathtaking modern wedding venue in the UK. The Biscuit Factory is a truly magnificent venue, which puts the emphasis on creating a unique, high-quality experience. 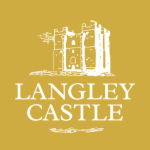 Lumley Castle, no ordinary hotel. A magical, fairytale setting for your wedding day. As You Like It- cool, quirky and one of a kind. This venue is fully licenced for ceremonies and provides your own private bar, outdoor terrace and is open until 2am (Jesmond’s only 2am license). A truly enchanting wedding location, for wedding celebrations as individual as you. Brinkburn offers a beautiful, unique setting for your big day. The Assembly Rooms are a premier wedding venue, offering that ‘something extra’ to make your wedding a special and memorable occasion. Doxford Barns, a truely magnificent barn wedding venue featuring a number of unique, grade II listed, 18th century stone and oak barns. Ellingham Hall, beautiful, secluded and exclusively yours. This venue specialises in delivering your perfect, fairytale wedding. Newton Hall, a quirky luxury hotel and wedding venue priding itself on delivering a unique wedding experience to ensure your big day is a delight. Langley Castle, a unique wedding venue setting which is amongst the most desired in Northumberland. The Vermont Hotel offers a captivating, magical experience for you and your guests. Horton Grange is a beautiful, Grade II listed country house. Set in 4 acres of stunning grounds, this wedding venue is available for private hire and is situated in Northumberland. 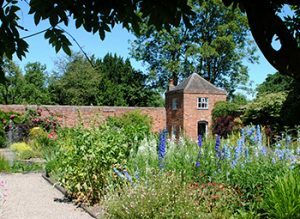 Middleton Hall has a history dating back to the 13th century and is situated in the heart of the Warwickshire countryside offering a peaceful wedding retreat. Doxford Hall, a stunning Georgian mansion house, nestled in beautiful Northumberland countryside. This venue features sweeping lawns, romantic rooms and every 'extra' you could dream of. A sister venue of Doxford Barns, Charlton Hall offer bespoke wedding packages to make your wedding day extra special. The Victoria Hotel, situated within the Northumberland village of Bamburgh, is overlooked by the stunning Bamburgh Castle and offers beautiful accommodation, with food served all day. Bamburgh Castle, a fairytale wedding venue location, overlooking miles of breath-taking coastline. The Barn on the Bay, a truly unique wedding venue situated on a Northumbrian Coastal Farm. This venue prides itself on offering your complete control and flexibility to make your wedding dreams a reality. Eshott Hall, a beautiful setting for your wedding day, in the heart of the Northumberland countryside. Vallum Farm, a unique retreat for your wedding day, with the emphasis on marquee weddings and Tipi gatherings. The Garden Station, a lovingly restored Victorian Railway Station offering a fabulously quicky venue for your big day. Exclusively yours, Le Petit Chateau is a beautiful and unique location for your wedding day. Woodhill Hall is nestled in the beautiful Northumberland countryside and aims to offer unique and affordable weddings. The Parlour at Blagdon, an idyllic wedding venue with exclusive use for the entire day. Matfen Hall is a luxurious venue, providing you with a truly unforgettable wedding experience. Healey Barn, a beautiful and rustic setting for your wedding day. A distinctive Victorian Manor House and beautiful setting for your wedding celebrations, The Mansion House is the official residence of the Lord Mayor of Newcastle. High House Farm Brewery, a distinctive wedding venue with a full wedding licence. Slayley Hall, nestled within 1,000 acres of beautiful forested countryside, this Edwardian mansion provides a wonderful setting for your wedding day. Capheaton Hall, a beautiful grade II building with stunning grounds is the perfect location for your wedding. An elegant and contemporary Pavilion venue, or a fairytale Treehouse Wedding, the choice is yours at The Alnwick Garden. Macdonald Linden Hall Golf & Country Club provides the perfect setting for your wedding day, excelling in cuisine, accommodation and personalised service.